Fat LossIHS Thermo Lizzer - 120 kaps. IHS Thermo Lizzer - 120 kaps. Incredibly effective way of ensuring fat loss without the effect of stimulation and strain on the heart. The active substances in the appropriate dawkach.Najwyższa quality and safety; No yo-yo effect! Never before weight loss was not as fast and fun! High quality materials in such proportions as to form a safe and very effective combination. By choosing this product wyświaczasz yourself a favor! 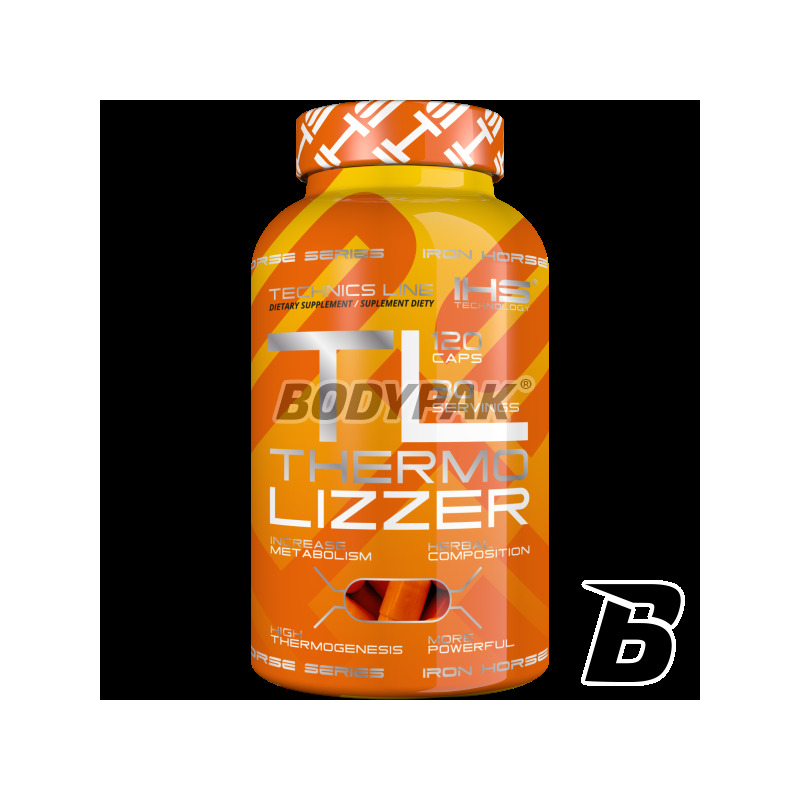 IHS Thermo Lizzer is a unique combination of extract from the berries Akai and Sinetrolu (patented herbal formula, the action was supported by clinical studies) allowed for the creation of fat loss that you can use "24 hours a day." IHS Thermo Lizzer work when you're working, you learn, train and even you sleep. This product does not cause the effect to increase the pressure, shock, heat waves and excessive sweating. Runs in the background of your daily activities, destroys fat without affecting your mood. Akai Berry recognized outside pro-health properties (high content of antioxidants, vitamins and other bioactive compounds like a vitamin) also has slimming properties, including properties locking cravings for sweets and other unhealthy foods containing simple sugars. The main advantage is Sinetrolu 6cio times faster breakdown of fat, both the energy needs of the training and activities of daily living. Extras included in the IHS Thermo Lizzer type: Tyrosine and acetylated L-carnitine are designed to support your motivation to exercise and improve concentration at times of low carbohydrate diets. To increase the thermogenic effect was used a mixture of: raspberry ketone extract of root Ginger, Caffeine and extract of Tea Pu-erh. Chromium picolinate is to stabilize blood sugar levels and help in suppressing the appetite. 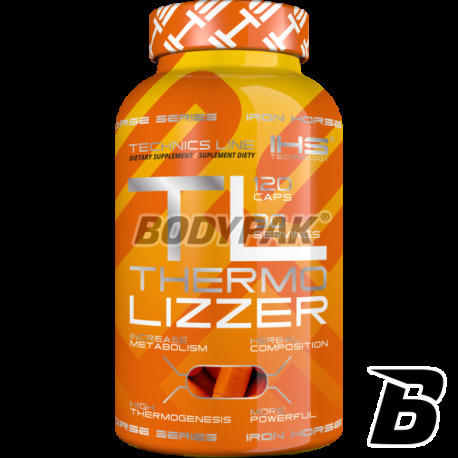 IHS Thermo Lizzer this formula to ensure fat loss without the effect of stimulation and strain on the heart. Well suited for use by people with hypertension or those who want to relax from the burners of the stimulant. IHS THERMO LIZZER - EFFECTIVE SLIMMING WITHOUT EFFECT JO-JO! Działa, nie jest jakieś powalający, ale też nie jest slaby.. zdecydowanie wart polecenia!